You may imagine painting your walls to be a quick and easy job, not to mention affordable, if you’re going to do it by yourself. However, if you are too hasty and careless in getting things done, you may be spending more money on the repairs or letting a professional finish the job. That’s why in this post, we have gathered ten tips that you should remember before painting your walls. One of the leading causes of injuries at home is falling. If you plan on saving money by painting the walls by yourself, you have to make sure that you will do it safely. Especially if you will be painting the higher parts of the walls, get a ladder that is sturdy and has a shelf where you can place the paint and your tools. If you don’t want to buy one as it may be a bit costly, try to borrow from friends or neighbours. Ask around, and you are sure to find one. An exciting part of painting your walls is choosing the colours. But don’t just pick your favourite colour. You have to consider some factors first. For example, you have to know the age as well as the architectural design of the house. You can research about the appropriate colours for certain designs. In general, you also have to think about how you want the space to feel. For that soothing feel, go for shades of green and blue. Shades of yellow uplift while shades of orange and red excite. If you just want a relaxing feel for the room or space, go for neutral colours. Once you have some colours in mind, the next thing you should do would be to buy some samples. On a white poster board, apply some of the paint and place the board in the rooms at different times during the day so that you’ll know how the light will affect the colour of the paint. For excellent results of painting your walls, you have to get the right sheen. If you have chosen paints with rich colour, go for the flat and shine-free finish. This finish will also be able to hide any imperfections on your walls. A downside of a flat finish is that it easily gets dirty and can be quite difficult to clean. For a finish that is easier to clean, go for a satin finish. This is usually great for kitchens. For a high-gloss finish, set it aside for your highly stylized spaces. Don’t make the usual mistake that most DIYers do. Don’t get too excited and immediately paint the walls. You have to take some time to thoroughly clean the walls first so that the dust and dirt will be removed. If you don’t, the paint won’t adhere to the surface properly. Wash your walls with warm and soapy water first. Let it dry, and then you can start painting to your heart’s content. You may know that there are paints with primer already and you may think this is going to save you time. However, most often, what will happen is that you are still going to need to apply another coat to make sure that the finish is even. Another thing you should know as a DIYer is that only a high-gloss or satin paint will cover another old paint that is of the same kind. But unless you sand the walls to improve adhesion, then you can cover it with a different kind of paint. With priming, you are given a new and clean canvas. It is a sure way to have outstanding results. Lastly, go for an oil-based primer if you plan on covering water stain. It’s going to be frustrating if you run out of paint in the middle of the project. Be sure that you measure your wall’s surface area and they check the estimates that are printed on the paint can. Prepare for two coats and some touch-ups. Do this even if the product guarantees that it can cover the surface evenly with just one coating. Using tape can be annoying and involves a lot of work. But you don’t have to use tape if you plan to paint the entire room which includes the ceiling and trim. What you can do first is to paint the ceiling and trim. No need to worry about smudges and drips on the walls. Those will be covered eventually. You can then use an edger to have a clean perimeter above the trim as well as below the ceiling. Finish it off by painting the rest of the walls. When you are using painter’s tape, use caulk to dot the tape seam. Wipe away any excess. This creates a flat caulk seal above the tape and the surface. Let that caulk seal dry. When it is already dry, you can paint over the caulk and the tape seal; it will be preventing paint from going through the tape seam. Painting your walls is going to take time. Don’t do the job hastily just so you can see the final results. You’ll get there eventually. Give yourself a few days up to a week at a time. And then marvel at your job at the end of that week. 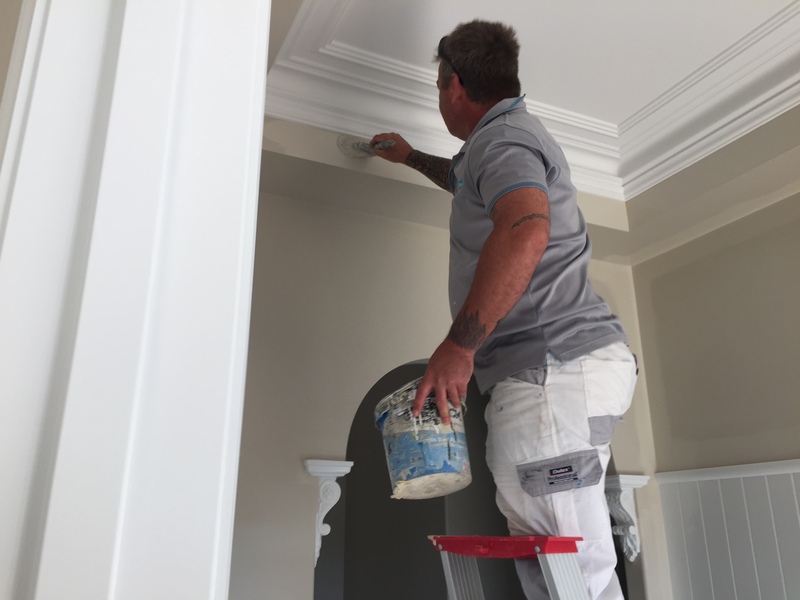 If you realize that the job you’ve taken on is more ambitious than what you initially thought, don’t worry, there are plenty of painters in Sydney who can help you out. Hopefully, these ten tips can help you get started on your painting DIY and that you’ll be able to achieve stunning results. Do you know other steps that we may have missed along the way? Be sure to share them with us in the comments below! The perfect time for redecorating your bedroom is the moment when you start feeling tired or bored spending time in it. 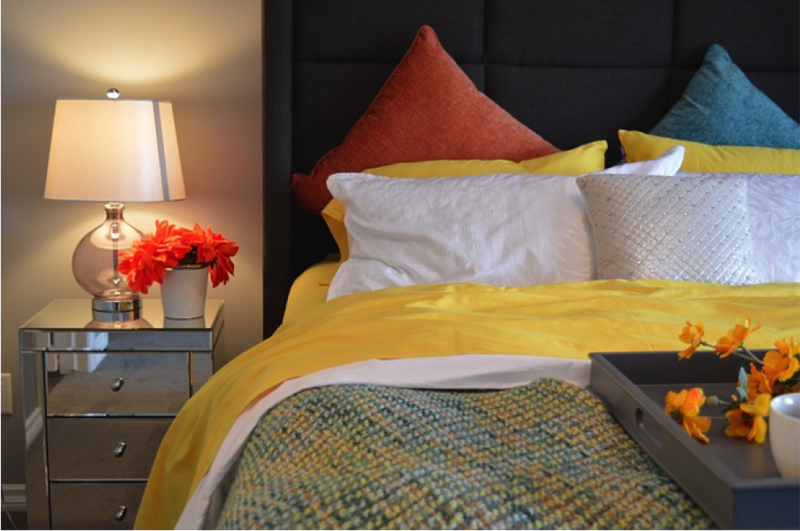 Your bedroom should be your personal haven, a place where you are inspired and feel at ease. Finding inspiration might seem difficult at first, but with these simple tips & tricks we’re here ready to offer, you’ll be ready to make decisions in a jiffy. Style, themes, colours, decoration and materials are the things you should consider before starting creating your dreamy sanctuary. Your bedroom is the perfect place where you can reveal your personality and go a little off-center. It’s your intimate space, so feel free to design it so that it suits you best. Pieces of art, colour combinations and themes (stripes, patterns, shapes, etc.) are the things you should consider first, before making any other bigger changes. Adults usually don’t think that much about themes like kids do. However, a theme can truly be a good device for making this room relaxing, enjoyable and yet, funky enough to suit all your needs. If you think your walls look shabby, a simple touch of new paint is all it takes to give your bedroom a complete new look. Try out shades of green, purple or blue if you want to achieve a soothing effect. 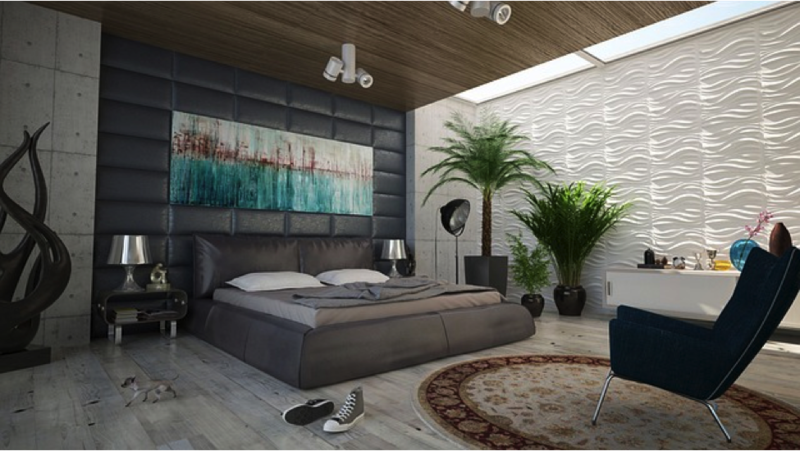 You can always use various tones and textures so as to create a layered feeling in your bedroom. 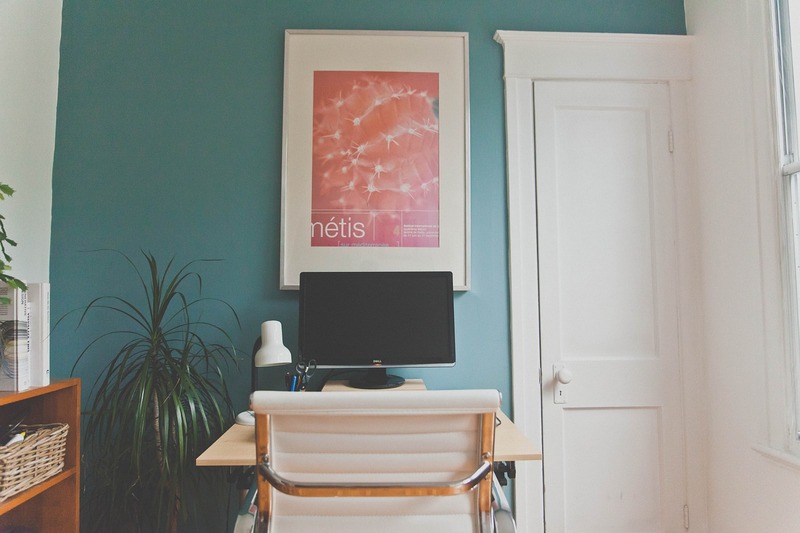 If you want to have a more casual room, go for denim painting. There are many textured painting ideas you can pick and choose from, before finding the one that will suit you best. Decoration patterned wallpaper is a great choice if you want to add texture and brighten up the space. For instance, floral wallpaper can wrap you up in a romantic feeling, while patterned ones give more dynamics and inspiration. After consulting with the pros, many people also choose faux painting although it seems a tricky business at first. This option is an excellent way to create interesting surfaces, as it replicates the appearance of other materials. 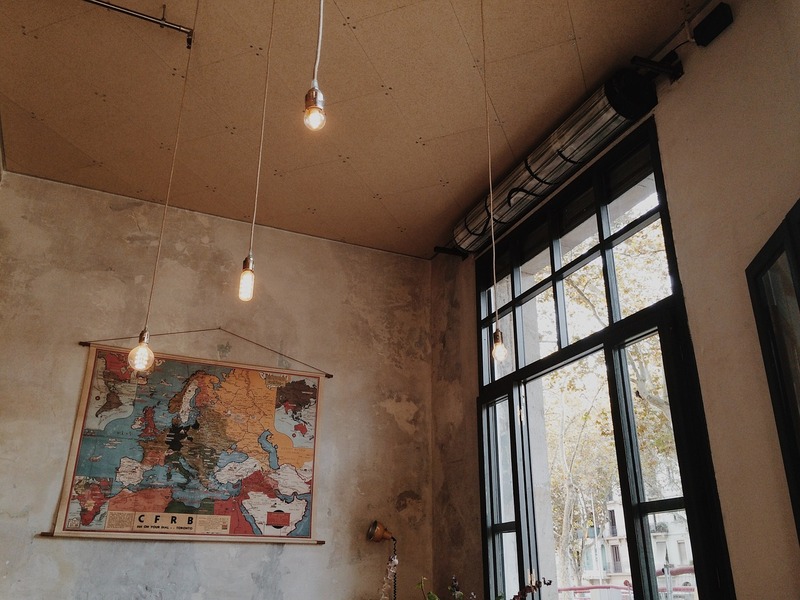 You can, for instance, create an old-fashioned vibe or a more modern one. It’s completely up to your taste. Plants have a truly inspirational impact on space. They brighten it up, clear the air and bring peace and quiet. You can always go for old favourites, like palms and pot plants, as they are affordable, easily taken care of and last long. In order to achieve a distinctive look, try out a printed bedspread. Pick your favourite pattern and your bedroom will instantly get a new look. During the day, wrap the bed in a colourful quilt over the frame, as it will add more character. And, don’t forget the pillows. Pillows play quite an important role when it comes to décor. Pile them up and don’t be afraid to mix different patterns and prints. This should be your main mindset while thinking about how to remodel your bedroom. This is a place for writing, reading, creating art, sleeping and finding peace with oneself. Leave all the technological devices out, as these will just keep you up late and disturb the comfort you should have. In addition, you’ll have more space for the furniture and other elements you like. Don’t forget to choose a focal point in the room, either a bed or another piece of your favourite furniture. First of all, consider what type and size of bed would be perfect for your bedroom. If the room is smaller, perhaps a good idea would be not to include too many pieces of furniture, but to pick a few that will truly stand out. A good quality bed, in this case, is a priority. Smaller bedroom means less space for your things, too. Consider investing in aluminium sliding doors for wardrobe, or the bedroom door, as they are of high quality and considerably save up space. In addition, adjustable lamps and nightstands affixed to walls are great options for smaller rooms. So, if you think you’re ready to set off on a journey of your lifetime and create a bedroom of your dreams, go for it. It will take time, but, if you do everything according to your plan, the results will be amazing. 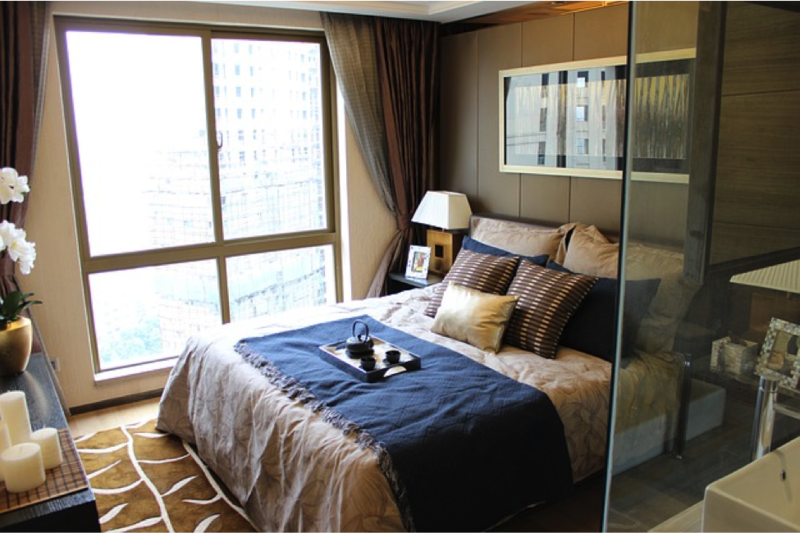 Soon enough, you’ll have a bedroom just for yourself and your loved ones. And there’s no better motivation than that. A lot of homeowners consider faux painting as tricky business. Whatever finish you choose for the painting project, it might end up look outrightly tacky or simply unnatural. After all, what you’re essentially after is a copy of something else, so the hesitation is normal. However, if you choose the right kind of finish that would suit the room or the area which you plan to paint, you might be able to pull off an impressive output. This is another one of those home decorating ideas that you can consider, so here are a few answers to your nagging questions about this kind of paint job. Also known as faux painting finishes or techniques, this decorative paint job replicates the appearance of other materials. It basically involves combining paint and glaze to create finishes that copy various textures, such as marble, wood, stone, concrete, raw silk, and more. For interior surfaces, these finishes provide a unique effect that don’t downplay imperfections found on walls, and instead play them up. These create typically distressed appearance that not only transform different areas, but also evoke a sophisticated and stylish vibe in any room. The first step is to choose a solid background colour that will serve as the base coat, and then mixing it with glaze to be used for the succeeding layers. You can also choose to mix colours for a more interesting and evocative output. If you’re doing this on your own and without a painting contractor, you can also try different techniques when applying the paint. Make sure the layers are dry before applying the next one. Overnight drying is most recommended for the base coat. You can proceed to work on other areas while waiting for the layers to dry, and then try blending these sections afterwards. What are the advantages of faux finishes? Choosing faux painting techniques over other decorative painting ideas will allow you to create more visually interesting surfaces in your home that will give it an added touch of personalization and uniqueness. You can use these finishes to achieve a charming, old-fashioned vibe in one area, or a modern, streamlined look in another. You can choose from different textures and colours, depending on your preference for specific areas. Whichever finish you select, this technique will definitely help you create an attractive and inviting space that will impress friends and family. You can use different faux painting techniques around your home. There are different ways for you to achieve different finishes, and you can use a few of these in different parts of the house. Whether you want to add a classy yet intimate feel to the bedroom, create a more sophisticated and formal look to the dining room, or simply wish to add texture to a plain corridor, you can use these techniques to make things more interesting around the house. You can learn these different techniques or simply ask your painting contractor to see which will work best where. What are some faux painting techniques? As mentioned, there are a lot of different faux painting techniques that will definitely work better than ordinary wall paint in your home. One of the most common techniques is the Venetian plaster. Based on the name, it takes after the polished marble look that is popular in old-world European architecture. This is usually achieved by using a putty knife to apply paint in adjacent angles on walls. Meanwhile, graining is another technique that is applied when you want to achieve a wood grain finish. This requires a special graining tool which is dragged gently down the glazed wall. Other popular techniques include sponging, ragging, rag-rolling, leathering, stenciling and bricking. These are typical faux painting techniques that even homeowners can try without the help of a painting contractor. Some other modern faux finishes include stippling, dragging, artisan finishing, metallic painting, metallic plaster, sandstone finish, and more. Whether you are going for a shiny or somber atmosphere or even a distressed or polished look, these techniques can help you achieve whatever you’re going for in specific areas of the home. Faux painting can indeed be risky, especially if you attempt it on your own, but some techniques are manageable and easy to do even if you’re a first timer. Some of these are done with things you can easily find in your home, like sponges, rags, cardboard, and even just paintbrushes. If you are going for a major repainting and choosing to go for a faux finish, enlist the help of a painting contractor. This way, you wouldn’t risk messing up and wasting your time and money in the process. Whatever finish you decide on, it’s sure to bring a truly attractive and inviting vibe in your home that will definitely stay with your guests. If you feel like you can do a lot more with your paint job at home, you can use more paint to spice up things a bit without going overboard. There are a lot of home decorating ideas that you can try to make your home even more quaint and alluring using paint. Apply it in areas where you feel there’s something lacking or something that can be improved on. These are things you can do on your own or with the help of a painting contractor. If you want to step up your game after our list of house painting ideas, try these other projects to make your house truly a home. 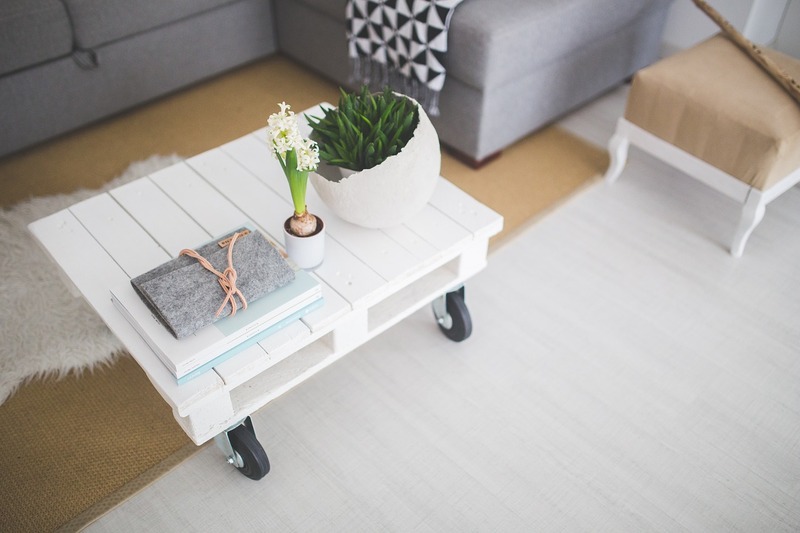 If you feel like something is lacking in your home or if you don’t have a lot of budget to spruce up your home, painting a simple checkered design on your floors can do wonders. This is one of the home decorating ideas that will add a lot of energy to your space to make it look fresher and more inviting, and it can also help you express your personality. You can choose a pattern that will complement your home’s existing colours. If you have walls painted in cool hues, try beige and white checkered patterns. You can use light hues if you have warm wall colours. If you find carpet runners limiting or inadequate for your home, why not try painting it on your stairs instead? Immaculate wood or ivory stairs can serve as a great canvas to execute some home decorating ideas, this being one of them. You can use cardboard to create the template for your pattern, draw them, tape them off, and paint them with latex floor enamel. Coat it with matte polyutherane for that rug-like effect and you can go up to your upper floors with attitude and in style. If you would rather use paint instead of wood furnishings to add dimension to your home, then painting stripes to act like wainscoting is one of the great home decorating ideas you can apply. 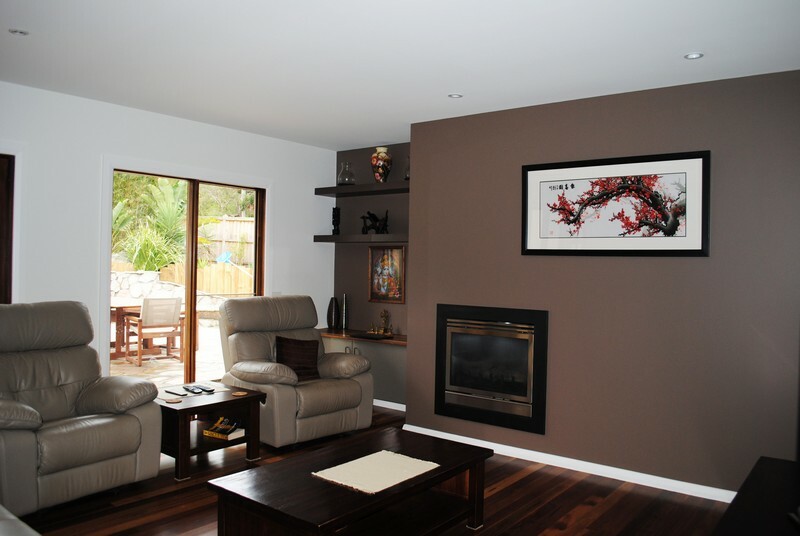 In a room or area where there’s already wood trim, you can use a neutral colour for the base coat. Then choose a standout colour to pack some punch for your space. You can go for alternating thick and thin vertical stripes, or simple uniform vertical lines. Either way, the contrast and brightness will give your home a friendlier and more welcoming appearance. Nothing can bring brightness and life into a room more than a cheery accent wall. This is among the go-to home decorating ideas that almost never fails homeowners. This can serve as a focal point but can also balance out the rest of the room. You can highlight a particular area in your home, such as the living room or the kitchen, by adding an accent wall that will match furnishings to give it a solid and tight vibe. Make sure other pieces of furniture, or just small details and items in the room will complement this wall to make your space even more inviting. This is one of those DIY home decorating ideas that won’t cost a lot, especially if you already have paint in stock at home. Simply step out and find leaves that match your preference – short, fat ones or long, thin ones, it’s all up to you. Make sure the leaves are flat and supple so that they will be workable for the project. Apply a coat of metallic craft paint or any other paint colour using a small foam brush and transfer it onto the wall. Press it firmly to create the full effect. You can for random stamps or evenly arranged ones and they will look striking just the same. Much like the accent wall, creating faux wall panels using paint is one of those foolproof home decorating ideas that are easy to execute. You can create structure in any given space by painting wall panels that can also help you arrange and choose furnishings better. You can also paint these panels with creative stenciling to make it look even more visually interesting. There are a lot of home decorating ideas that only uses paint, and this will save you time and resources if you simply wish to liven up your home. These ideas will help you create a more personalized space that allows you to express yourself freely. This will also give your loved ones and guests a glimpse of your interests. Whether you want to keep things bright and cheery or simply muted and relaxed, you can use paint to help you show your true colours, so to speak. Ask your painting contractor about your options today. 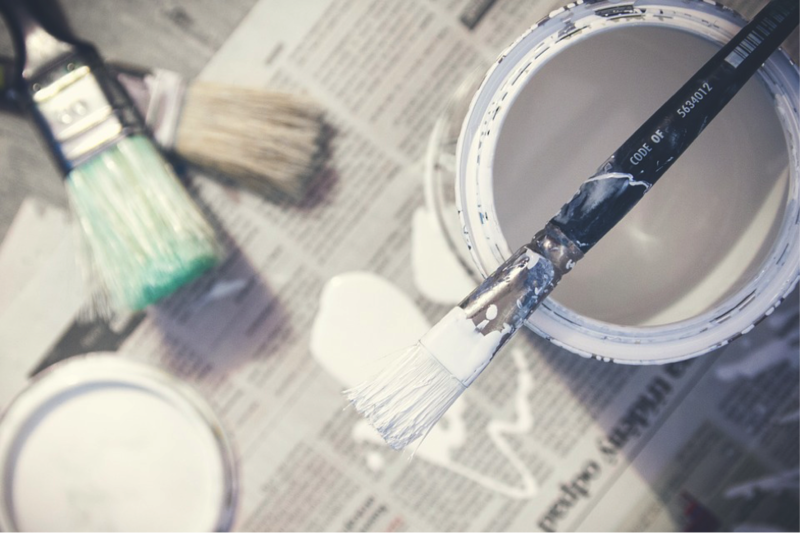 The idea of painting a home can be very exciting, but it also needs to be carefully decided on to make the most out of your time and resources. It’s best to have a few things in mind which you can consult with your painting contractor, so that you can all see what’s best for your home. Whether you want a simple repainting or add a bit more life to your home, there are a lot of house painting ideas that you can apply for this project. We’ve listed a few things about interior house paint colours, so here are a few more tips which should help you out with your paint job. Choose hues that are neighbours in the colour wheel. For instance, if you pick a warm shade of green, you can pair it with a cool yellow shade. This combination almost never fails and works in any room of the house, even ones with wainscoting or trim, which can easily lend itself to this kind of treatment. If you want to stick to more traditional house painting ideas, you can pair up two bright colours. You can also decide on soft hues with a mix of either gray or brown if you want a more conservative look. If you’re not sure about committing to major house painting ideas, you can start off by painting two thin stripes on a wall in a bedroom to see if you like how it looks. If you decide that it fits, you can go and apply it to all the other walls in the room to create the full effect. If you don’t think a mural is a good idea, try painting on some object or item that will add a simple detail to the room. There are a lot of ways you can spruce up a room with paint, and it doesn’t have to be a full-on repainting or mural painting job. 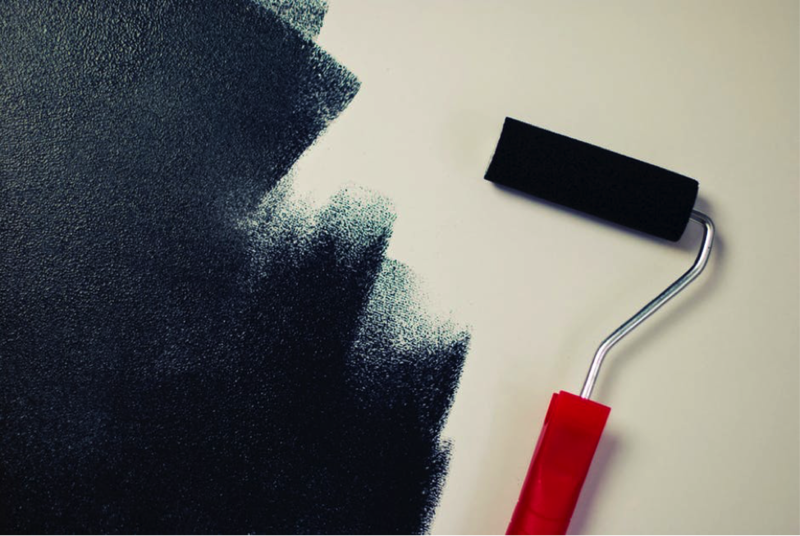 Chalkboard paint is not new, but as of late, many people have been turning to it for creative house painting ideas. While it’s black and can seem off-putting at first, it can be balanced out by the rest of the room where you plan to paint it. Whether you’re painting a panel in your kitchen to list your groceries, a wall in your home office to serve as your planner or calendar, or a part of your bedroom to serve as some sort of creative outlet, chalkboard paint will allow you to achieve a distinguishably unique look for any corner of your home. If you have a guest bathroom, den, or receiving area that’s a wee bit smaller than other areas of your home, painting them with horizontal stripes is one of the few house painting ideas you can apply to give them the illusion of spaciousness. Paint wide horizontal lines using two analogous hues to push out the walls of these areas. You can add accents like small black furnishings or even a mirror to make it seem even larger and also sophisticated. Think of this is as something like more personalized wallpaper. The idea is to start drawing something on paper and enlarging it on your wall. You can use chalk to sketch it and then paint over it for a dramatic effect. You can choose what kind of pattern will work best in the room you decide to do it on, be it flowers, leaves, swirls, or other shapes. This is among the house painting ideas that you can apply to one of your smallest rooms first before doing it in your living room or dining room. This is one of those classic house painting ideas that never fail to add visual interest to different areas of the home. After applying your base coat which will then serve as a backdrop, you can use a stamp or stencil to create a pattern that will be painted using a contrasting colour. You can even have two different patterns that will alternate and work with your base coat. This will add a dimension of fun in any room and definitely liven up the space wherever you decide to do it. These are just a few house painting ideas that will surely make your home even more quaint and cozy. Choose a few that will best represent you and your family, check out a few more that you think may work, and consult with your painting contractor about which works best for different areas and what kind of paint to buy for these ideas. Most importantly, make sure you’ll want to live with these designs for a long time. 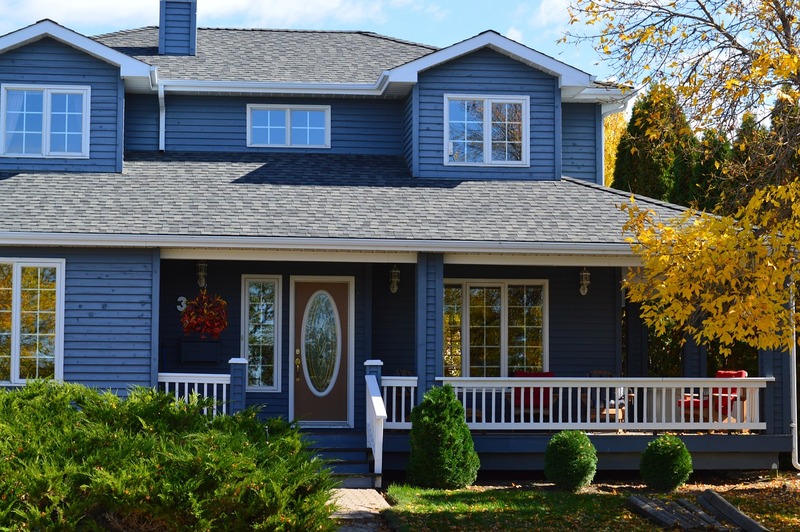 Picking out the perfect exterior house paint colours takes a lot of thought and careful consideration. It’s the first thing visitors and passers-by notice when they visit or happen upon your home. The impression that your house gives based on its paint job will say a lot about you, so you wouldn’t want people to make the wrong judgment about you based on it. Therefore, choosing exterior house paint colours is a task you should take seriously. More importantly, it will affect your house’s value when it goes on the market. When choosing exterior house paint colours, there are a few things you should consider. Two of those would be how you can blend in to your neighbourhood, and how you can also manage to stand out. Striking a balance is no easy feat, so you also have to take note of a few other things about your home and surroundings before you ultimately decide. Your painting contractor can help you as well. Previously, we’ve listed a few tips on choosing house paint colours, and here are a few more to help you with picking out the right exterior house paint colours. When deciding on your exterior house paint colours, your home’s architecture is the most important thing you have to take into consideration. Depending on whether your house is small or large, different shades can make them appear even smaller or larger. 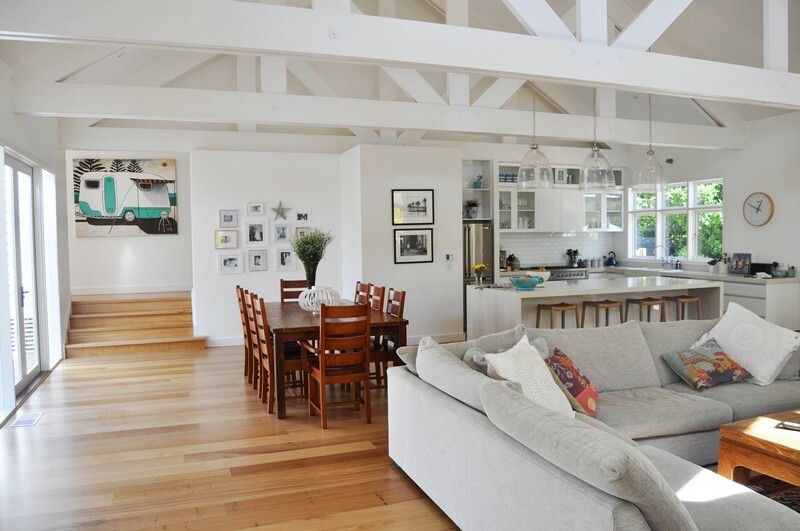 If your home is tight and compact, you might want to go for white, off-white, or pale colours to make it look bigger, Darker and warmer hues will make it appear smaller, although it will not be a problem if your home is on the larger side. For bigger homes, you can pick colours like deep green or dark gray without a problem. In addition, it also matters whether your house is multi-level and with other sections built into it. For this, you can think of a palette of different shades of exterior house paint colours. 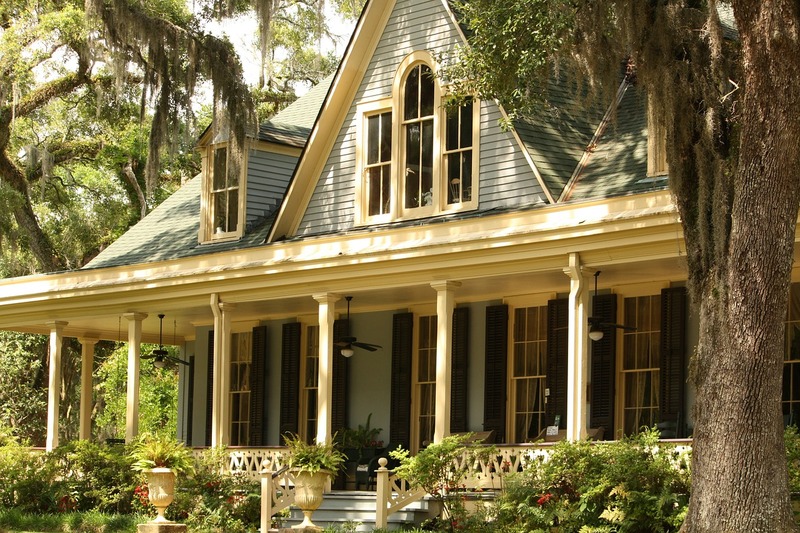 If you have porches or decks that are part of the architecture, you can paint these areas one shade lighter or darker than most of the outside of your home’s structure. Besides the optical illusions on size that the paint colours provide, it can also create the vibe that you want to establish for your entire home starting from the outside. Make sure you choose your colours well. Unless you are living in the middle of the outback, your house is most likely part of a community. Your home’s surroundings should also play a part when you are deciding on exterior house paint colours. For one, you want your home to look like it fits into the neighbourhood, if only to maintain coordination. However, you should also avoid picking colours that are too similar to homes in close proximity to yours, like your next-door neighbour or the home across the street from yours. Going around the neighbourhood will give you an idea of what yours can look like and what you should steer clear of. Checking out the exterior house paint colours of the homes in your community will also help you decide on what you’ll pick for yours. For instance, if you see a colour palette that appeals to your sensibilities, you can pick a different base hue and use it for yours. It’s still best to avoid fluorescent and bold colours for house exteriors, even though it sounds thrilling when you’re still trying to decide, as it can be off-putting and even embarrassing for you and your family. Deliberate on your personal preference. Of course, your taste also figures into choosing exterior house paint colours. You shouldn’t discount your initial inclinations when deciding on the final palette for your home. It’s something you and your family will live with every day, so it’s best to go for something that will make you feel comfortable, which will also represent you. You and your family should arrive at a similar decision, since all of you should feel at ease with the final colours. You can also pick out the type of paint that you want to use for the project. You should all arrive at a common ground when choosing exterior house paint colours. You have to decide on a scheme that will make everyone feel peaceful. Pick hues that are simple and light if you live in a small home, and start building your palette from there. You can also go for deep and dark hues if you live in a big house, and you can use it to pick colours for your trim and siding as well. Once you have arrived at a colour palette that your family has agreed on, enlist the help of your painting contractor in choosing the type of paint and the kind of application required for the job. This project will increase the curb appeal of your home and will also add to its value if you decide to sell it, so it’s best to get professionals to do the job for you.